A large number of resources for those researching World War II soldiers, can be found on Facebook through the Genealogy on Facebook List created by Katherine Willson. Katherine has a connection to the military and genealogy, and agreed to answer a few questions about herself and the list she created. I’m a professional genealogist, public speaker, educator & artist living with my husband of 20 years and our two dogs in Ann Arbor, MI. 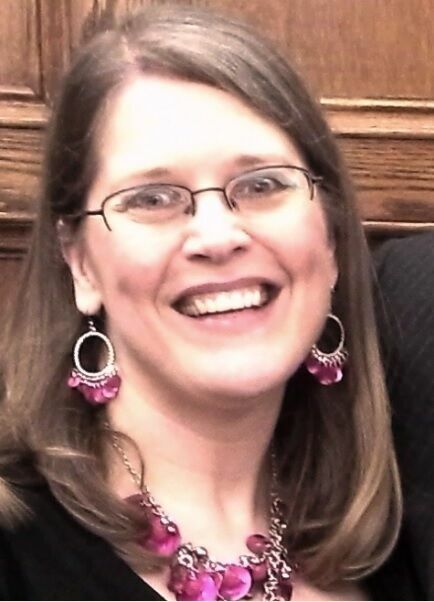 I’ve been teaching genealogy & art classes in my community for the last 15 years, helping clients with their genealogical research & book publications for 15 years, a public speaker for military families for almost 10 years, and I’ve been a public speaker for genealogy societies & conferences for the past 5 years. My art medium is making handmade paper & then using the paper to create books/journals, ornaments, greeting cards & large abstract pieces of framed art. Please tell us about your background with the military. My husband has been in the military (U.S. Army Reserve) for almost 33 years – he signed up as a Private when he was 17, and he showed up on the promotion list this year for CW5 – a rank that less than 1/10th of 1% of the military population ever receives. During our marriage, we’ve had multiple deployments, which led me to organize a Family Readiness Group (FRG) for our unit. After serving as a volunteer FRG leader & speaking to local military families about resources & support available to us during the deployment cycle, I was asked to join the Department of Defense’s Cadre of Speakers for the Yellow Ribbon Reintegration Program (YRRP). I now travel frequently around the U.S., talking to military families in each of the services who are in all stages of deployment (pre-, during, and post-deployment) about the ever-changing resources & support that’s available to assist families & service members through these transitions. What prompted your interest in military research? What wars do you specialize in researching? In addition to being an Army Wife, I come from a long line of service members, with extended family & ancestors serving in all major & minor conflicts since the Revolutionary War in the U.S. and additional major & minor conflicts in other countries. Because of this, my genealogy research has led me to many different types of military records in many different countries. I don’t consider myself a specialist in the records of any one conflict in any one country, but I’m quite confident in my abilities to locate a variety of records for whichever conflict I’m researching. You have a Genealogy on Facebook list. What is this resource and why did you create this resource? The Genealogy on Facebook list was started in the spring of 2013, after one of my genealogy students asked me if there was any value to Facebook as a genealogical resource. I went home that night and started poking around on Facebook, to see if anyone was using it for genealogy, and I discovered a variety of groups that had been created to share information about a specific county or a specific surname or a specific ethnicity. I decided to create a list of the groups I was finding so I could share that information with my classes, and then I began sharing it with fellow colleagues online. Within a few months, the list had grown immensely (who knew there were that many groups & pages on Facebook for genealogy???) and it was time to put it on a website. What tips do you have for people first using the list? Two tips: Use the table of contents to find the links that will be most helpful to the areas or surnames you’re researching (because browsing through 10,000 links can be overwhelming! ), and when possible, post your query on a group rather than a page. A group has many different sets of eyes that will see your query and can offer suggestions, while pages typically only have one or two sets of eyes reading posts to the page. Do you accept other submissions and how should people contact you? Absolutely – there’s no way I could’ve discovered these 10,000+ links on my own, so I count on others letting me know when they’ve created or discovered new groups or pages. It’s best to contact me through my website at Social Media Genealogy or via email at moonswings@gmail.com. I try to update it at least every two months – sometimes sooner if I’ve got 500 or more new links to share. Why is this resource important for researchers in the U.S.? Most U.S. counties have genealogy groups on Facebook, and connecting with these groups insures that your query is being seen by people most familiar with the resources in that area. Additionally, unless we are 100% Native American, our genealogy research includes our immigrant ancestors, and my list includes groups & pages for countries all over the world. These groups are welcoming to English speakers, so it’s easy to post our query and get assistance from those who, again, are mot familiar with the resources in their area. Why is this resource important for researchers abroad who are unfamiliar with genealogy but interested in WWII? There’s a huge Military section in the my list, with large number of WWII-specific links to groups that are very welcoming to researchers from abroad who are seeking specific information. I’ve had nothing but positive experiences with the admins and members of these WWII groups, as well as all of the other groups created to share information about other major & minor conflicts around the world. Is there anything else you’d like to tell us about the list? Because I update the list every two months or so, those who would like to be notified about a newer revision (which will contain at least 500 more links) can “like” my professional page on Facebook and they’ll receive a singe notification when the revision gets posted. One of the groups I am collaborating with overseas is the Foundation United Adopters American War Graves. My friend Sebastiaan Vonk, was kind enough to answer a few questions for me about the work his foundation does and how American genealogists can help! Tell us about your foundation, the Foundation United Adopters American War Graves. What prompted you to start a foundation? We had been active on the internet for several years, doing the work that we now also do as a foundation: helping grave adopters to find information on the soldiers whose graves they have adopted, creating memorial pages for thousands of U.S. WWII soldiers in our Fields of Honor – Database. However, being a foundation would open new doors to us and would therefore be beneficial to our mission. So after 4 years, we decided to go ahead and found a foundation. When did you officially start it? Our first website was set up in the summer of 2007. We officially became a foundation on July 30, 2011. What is the mission of your foundation? To put a face to the name of each and every one of the more than 45,000 U.S. soldiers who have been either buried in or memorialized at the Ardennes, Epinal, Henri-Chapelle, Lorraine, Luxembourg, and Netherlands American WWII cemeteries in Europe. We literally do this by finding their photos, which more than anything else, show who the people are whose names are inscribed on the white crosses and Stars of David, and on the Walls of the Missing. We also aim to capture their life stories and to continue to tell them. After all, we are not concerned so much with numbers and other statistics. We simply want to recognize and honor every individual, and their families, who have sacrificed so much for our freedom. We want to thank them one by one. And thus we will continue our work, until we have been able to put a face to every soldier. Who is part of the foundation? 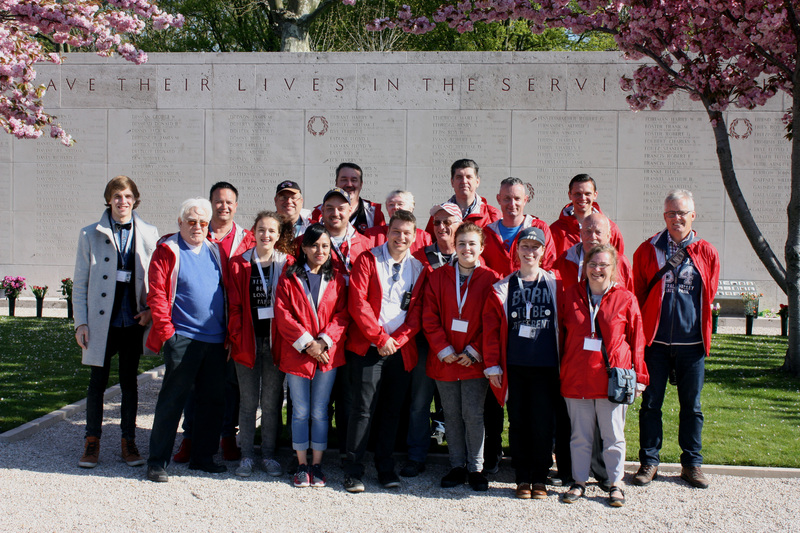 Foundation members at the Margraten (The Netherlands American Cemetery.) Sebastiaan Vonk far left. At the core of this foundation is a group of 25 volunteers. It really is a diverse group of people. They come from Belgium and the Netherlands, Our youngest volunteer is a girl of 18-years old, the oldest is in his 70s. All of them have adopted a or multiple graves at these American cemeteries. It is great to work with this group and to see so many youth continue to express interest. Moreover, we are very appreciate of all the help of grave adopters, soldiers’ families, genealogists, and other researchers. They have submitted an incredible amount of information over the past years, helping us to put a face to even more soldiers. What projects do you have in the foundation? 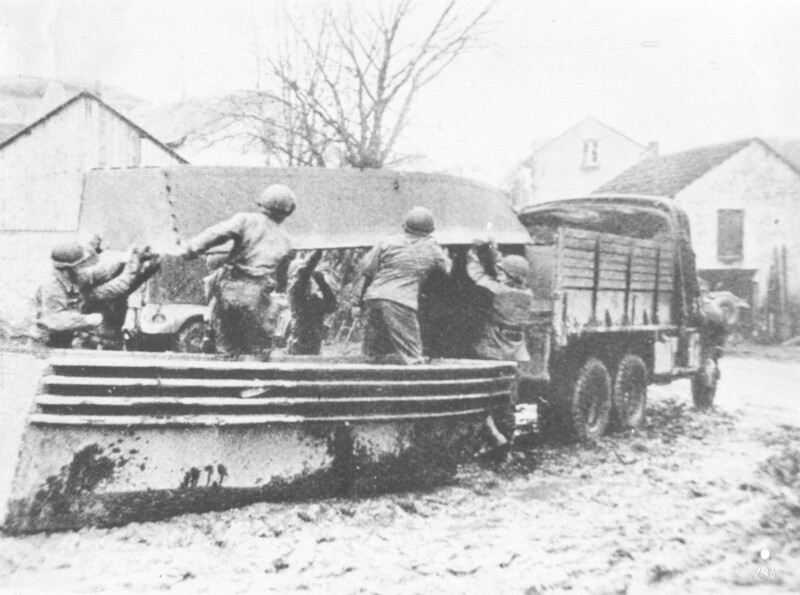 Our primary projects are the Fields of Honor – Database and The Faces of Margraten tribute. The former is an online database that has over 24,000 memorial pages. The database offers some basic information on these soldiers: where did they come from, how old were they, where did they serve, where were they killed, etc. The pages also include photos when available. The latter reflects more than anything our mission. The Faces of Margraten puts literally a face to the names of the 10,023 soldiers buried or memorialized in the Netherlands American Cemetery and Memorial in Margraten, the Netherlands by decorating their graves or names on the Walls of the Missing with a personal photo. During the second edition of the tribute in 2016, about 4,100 photos were on display. Yes, we are happy to work with many other organizations. For example, with the organizations that maintain the Adopt-A-Grave programs in the Netherlands, Belgium, and France. Not only because the adopters of these graves are often willing to share the information that they have on the soldiers whose graves they have adopted, but also to share the information with them, as many adopters would like to know more about “their” soldiers. But we also work with other organizations like the American Battle Monuments Commission and groups in the Netherlands to share the concept of The Faces of Margraten. What are your plans or hopes for the future of the foundation? In addition to hoping that we can share the concept behind The Faces of Margraten tribute, we will also work, wherever possible with others, on building a new database. We really hope that can we can tell richer stories about these soldiers in this new database. I think we should look at this as an archive that will have a file on every soldier with all kinds of information, documents, photos, etc. At the same time, we hope to offer more information about their units, the planes they flew in, etc. to give readers a bit of contextual information, or at least direct readers to where they can find more information. It will take a while to develop this database, but once it is ready, we hope to be more capable to preserve everything that is out there, to make sure it is not lost, and to present what we have in new ways. Much information is available on the internet, but much information is also tucked away in archives and in boxes in the houses of families. We appreciate any help in unlocking that information as well. In general, we welcome any information on these men and women. We hope that many will join us in our mission. We can be reached at info@fieldsofhonor-database.com. 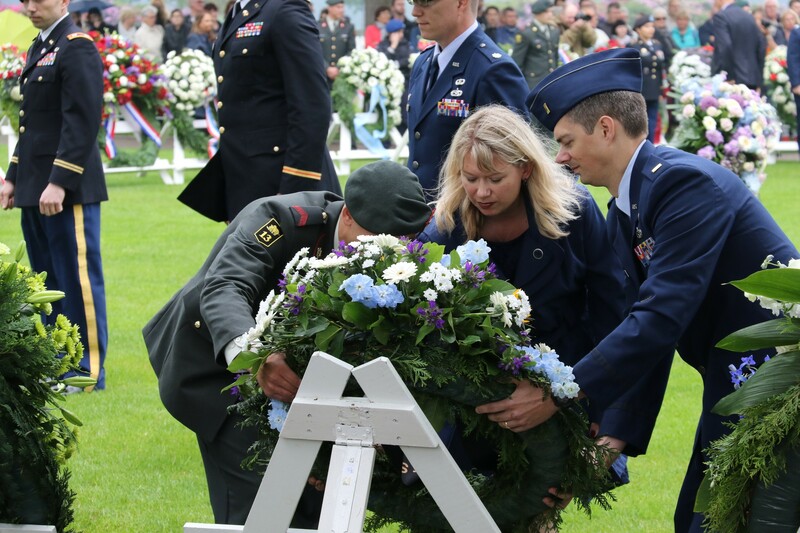 Laying the U.S. Paratrooper Society wreath at Margraten. Photo courtesy Andre Jans. 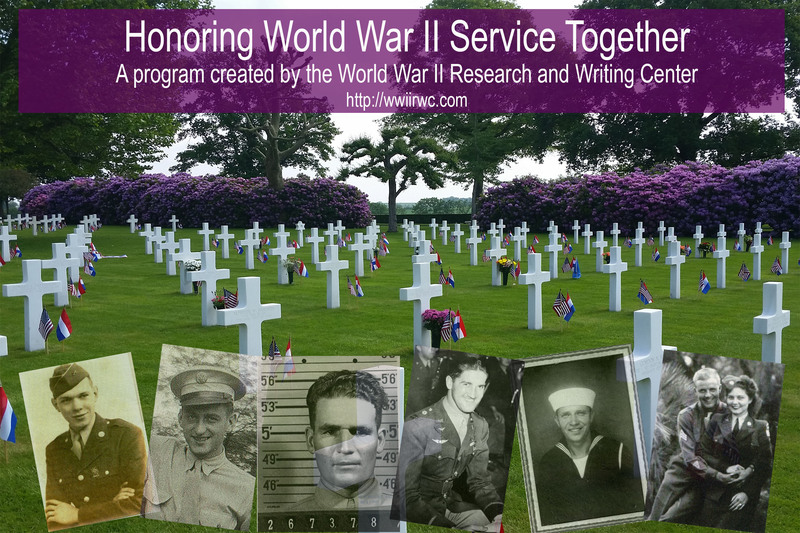 There are a lot of World War II researchers, grave adopters, foundations, re-enactment groups, museums, and organizations dedicated to learning about our American World War II soldiers and preserving their memories through various programs. 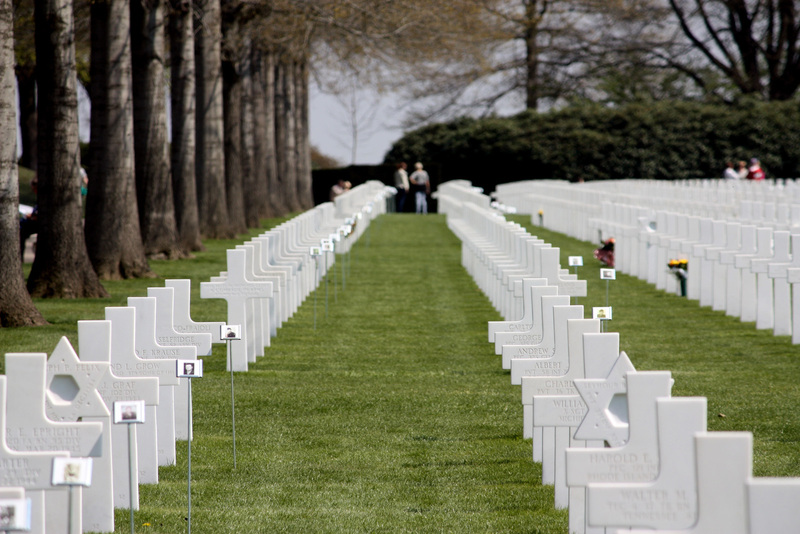 The most well-known groups of researchers are the Dutch, because of the successful grave adoption program, Foundation for Adopting Graves American Cemetery Margraten, at the Netherlands American Cemetery (Margraten.) This program was established shortly after the Margraten temporary cemetery was created in 1945. Since that time, the foundation has been so successful, that every grave and every name on the Wall of the Missing has been adopted. It seems almost weekly in a U.S. newspaper, there is a story about a Dutch person who adopted a grave at Margraten and is seeking information. There are many foundations and researchers in Europe seeking information on our American soldiers. There are many ways Americans, and specifically genealogists, can help these groups. Here are some things you should know to help you collaborate with European researchers and groups. European foundations, museums, and organizations are usually run in large part, or all, by volunteers. Usually these groups are run by volunteers and exist off volunteer time and monetary donations. Larger groups or museums may have sponsors to help offset costs. Keep in mind that American genealogical and historical societies have similar issues. It is a good idea to speak with those in charge to find out the best way you can help and they can help you through research. European World War II researchers and grave adopters may not be familiar with genealogy. You know how genealogists are taught when they visit a library or archive, they are not to give the librarian or archivist their entire family history? The same concept applies when working with overseas foundations and museums focused on World War II. Most of these groups are unfamiliar with genealogy. They also have no need, in most cases, for your entire family history. Before you get all excited and bombard these researchers and groups with information, see if their website tells you what specific information they would like to have. If it does not say, please ask before sending a lot of materials. Before you send anyone information, especially a foundation, museum, or organization, ask the following questions. What information are they collecting? Are they collecting photographs or scans of documents? How are they using the materials? Are the materials source cited so other researchers can follow the paper trail? If not, suggest to the researcher or group that they do this and provide a few examples. Focus on soldier and his immediate family. Source all facts and documents provided. 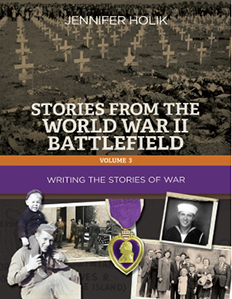 Write a short story (See Stories from the World War II Battlefield Volume 3). Many groups run off donations or sponsorship to make their data available online and to create projects. Consider donating to their cause. What are some foundations, museums, and researchers who would benefit from our research? Come back tomorrow to learn what questions European Grave Adopters have about their adopted American World War II soldier. You can also listen to the Genealogy Guy’s Podcast at 35:35 where they talk about my research books and program. 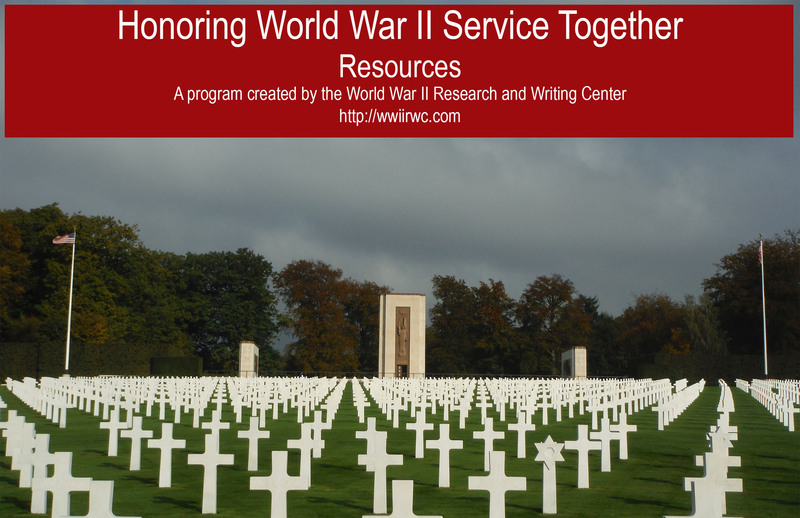 The World War II Research and Writing Center is pleased to announce a new educational program, Honoring World War II Service Together. Over the next several months, we will be providing resources to help Americans connect with researchers overseas, and resources to help overseas researchers connect with Americans. To provide education and resources for research on World War II soldiers and civilians to researchers. 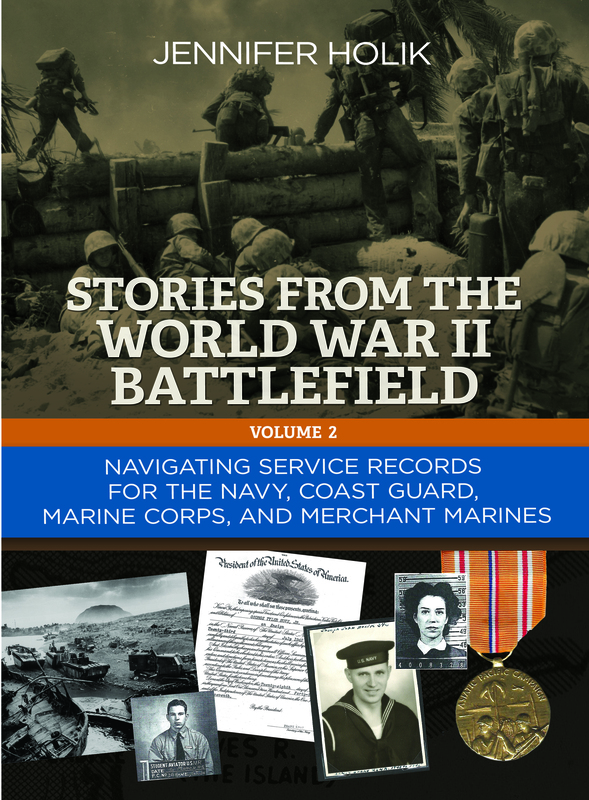 To help people discover, write, and preserve the stories of Americans involved in World War II. To help American researchers work with European researchers and foundations to preserve the history of our soldiers and civilians. To help foundations and researchers in Europe, work with American researchers, museums, and organizations to preserve the history of service men and women who liberated their countries. To help organizations develop memorial programs and projects to preserve the history and stories of Americans who took part in the war effort. Families of World War II service men and women and civilian employees. World War II researchers, historians, and authors. Organizations and groups wishing to create memorial projects. The World War II Research and Writing Center will provide resources and education to help researchers through a variety of sources. Articles on records research across all branches of the military. 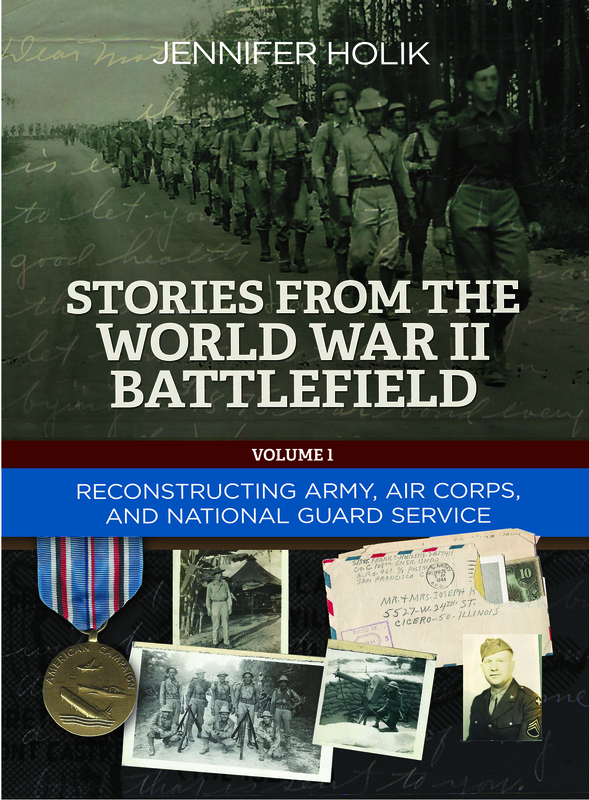 Introduce readers to foundations, organizations, museums, and groups around the world, with the goal of preserving our service men and women’s histories and memories. Interviews with researchers and authors. Discussions and Q&A on Social Media. We hope the resources we provide will help expand your World War II soldier or civilian research so you can preserve their memory. Getting the boats. Photo courtesy Tom Scholtes. In the month of May we honor and remember those who served during World War II. First on V-E Day, 8 May, and next on Memorial Day, 30 May. Have you researched the service of your World War II Soldier, Airman, Sailor, Marine, or Civilian? If not, why? What’s stopping you from learning what your soldier did in the war? The 1973 fire at the National Personnel Records Center in St. Louis? If that is what is holding you back, you should know there are many resources to reconstruct your soldier’s service history. No matter what branch of service your family member served in, there are resources to help you learn how to do the research step-by-step and also write the story. This month start working on your research and writing with three great resources. You will not find books that walk you through the steps of World War II soldier research anywhere else. Pick your copies up today and explore my website for full examples of military documents and files, and additional free resources for research and writing. Feel free to share your favorite website resource in the comments! 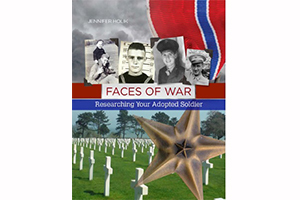 Faces of War: Researching Your Adopted Soldier A book specifically for the ABMC grave adopters in Europe! Your purchase will support the Dutch non-profit organization Stichting Verenigde Adoptanten Amerikaanse Oorlogsgraven (Foundation United Adopters American War Graves). Would you like to meet the author and get your book signed on 29 May at Margraten, Netherlands? There are two ways to pre-order your book. Support the Foundation United Adopters American War Graves (Stichting Verenigde Adoptanten Amerikaanse Oorlogsgraven.) The foundation will donate all proceeds to its The Faces of Margraten tribute at the Netherlands Cemetery. The foundation offers the opportunity to pre-order the book and have it shipped to you by mid-May. The foundation offers the opportunity to pick-up the book during the May 29 book signing. You can pre-order through the foundation until 8 May. 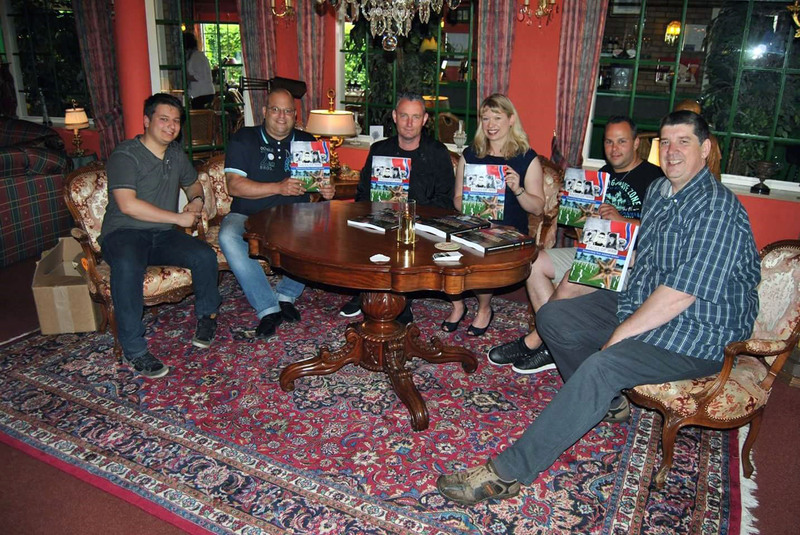 Pre-order through the author and pick up your signed copy at my book signing at Hotel Groot Welsden on Sunday 29 May in Margraten, Netherlands. Books are $33.00. Books must be picked up between 11.00-12.00 on Sunday 29 May at the Hotel. You can pre-order through the author until 5 May. You can also order the book from the author’s website and have it shipped to your home at any time. The American Battle Monuments Commission (ABMC) operates and maintains 25 permanent American military cemeteries overseas. In many of the countries in which these cemeteries are located, men and women officially and unofficially, through Adoption Foundation programs, adopt the graves of American service men and women in the ABMC cemeteries. Next week I am releasing a new book specifically for those living overseas who have adopted a grave officially or unofficially, through an Adoption Foundation at an American Battle Monuments Commission (ABMC) cemetery. 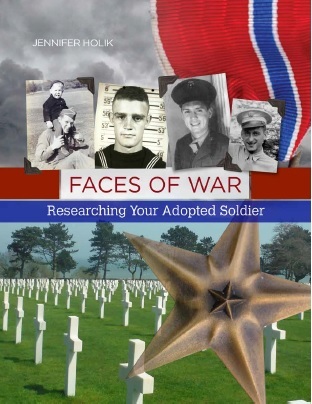 Faces of War: Researching Your Adopted Soldier. This book will be available early May. Please subscribe to my newsletter for further details on the release of this and other books.